The NTSB came out last week with an interesting press release reminding pilots that they should always take off using all available runway. We found the opinion odd for several reasons. Intersection takeoffs are often used by ATC to smooth the flow of traffic. If I, in my Skylane, have 7,000 feet of runway for takeoff on a 9,000 foot runway, I would absolutely, almost 100 times out of 100, in fact, decide to take off from the intersection. Is my decision compromising safety? Well, yes, kind of. A 9,000 foot runway gives me more real estate, in case of engine failure, to put the plane back on the ground. So I guess the question would then be, why don’t I, if I really care about maximizing safety, ask the controller for the parallel runway, which is even longer, by a thousand feet, if, in fact, I know my math. Using the NTSB’s logic, taking off on the puny, 9,000 foot strip is high-risk behavior. I should, I suppose, always ask for the longer runway, even though that would inconvenience the airliners, who typically use it, and sometimes need a good percentage of that length, unlike my Skylane, which, in its 53 year existence, never has needed anything but a tiny fraction of it. So, the question, it seems to me, is not should I use all 9,000 feet or accept the 7,000 foot length when offered. Instead, it’s should I accept a runway length that’s even close to the amount of runway I’ll actually need—to be conservative, let’s say 1,500 feet on a hot day with no trees at the end? No. In that case I’d be smart to use more runway if it were available. After all, the book numbers are really based on test flying experience from a long time ago, at least in the case of my bird, and my engine probably isn’t putting out more power than it did when it was new. So at an airport with a 5,000-foot runway, would I accept 2,000 feet of it? Nah. I’d ask for full length. Where would I draw the line? I don’t know exactly. But I would draw it. Everybody would. Hypothetically, if a 747 was offered 12,000 feet of a 50,000 foot runway, do you think the captain would choose to taxi the additional eight miles out of an abundance of caution? I hope not. Back in the real world, when I take off from that 9,000 foot runway, I’m most often headed to a much smaller airport, with, I don’t know, 4,000 feet of landing distance available. Am I being foolish not to plan instead to go to the nearest airline-airport and make use of their facilities? I don’t think so. I think I’m just going flying and doing so in a reasonable way with good margins built in. If you extended the NTSB’s guidance to always use all available runway to an even safer paradigm of flight, it would make perfect sense to just leave the plane in the hangar. But what would be the fun of that? So, should we ever accept an intersection takeoff option? Yes, so long as we apply the same logic to it that we use in determining if we’d take off from a runway with only that distance available. If the answer is “no” or even “maybe,” use some more runway. It’s not that complicated, but it’s not a black and white question either, as the NTSB makes it out to be. In front of my hangar is an 8,000 foot runway, and I usually do an intersection departure to the south with 3,000 foot remaining. The other day, I took off to the north, full length, and just after breaking ground, I got a high oil pressure warning. I aborted over the runway and landed, an option I’d not have had if I’d been going the other way. You pays your money and you takes your chances. One thing that will be advantageous is that if you’re using the full length of a 9000 foot Runway is that by the time you get off of the airport property you’re higher in the air and present a lower noise level to people on the ground, and hopefully fewer noise complaints for the airport to deal eith. I agree with the author – everything we pilots do is a balance of risk/reward. I was excited about the NTSB guidance, as it reinforces what I teach. Runway behind you is well known to be useless to a pilot. I reread their guidance and did not see that they say to always use full length, but it is indeed a risk-based decision. I have an 8000 foot runway at my home airport and I always use full length. I operate out of many shorter airports, but if the cost of getting those extra feet is just a little avgas and time I will use the full length. My airport does not have good landing spots after departure. Regarding the 747 example, remember that the 747 pilot (and all transport category aircraft) have the option of continuing with an engine failure if it occurs at or after V1. 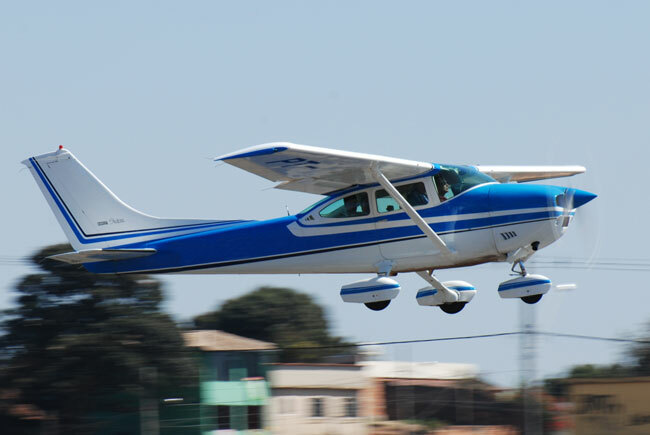 The pilot of a single-engine airplane and most light twins does not have that option. I think this guidance is an extended analysis of the underlying cause of Loss of Control (LOC) accidents. In this case, the LOC was preceded by an attempt at the impossible turn, which was preceded by a mechanical failure. Looking further, in the examples given, these people might be alive today if they had sacrificed the additional fuel and time to use full length. I think their families and friends would think that cost would easily have been worth it.